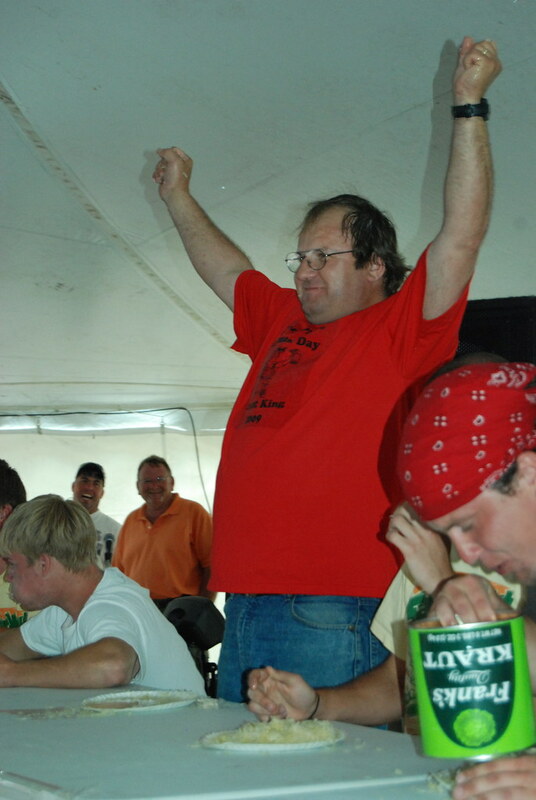 The 2009 Henderson Sauerkraut Days kraut eating champion, Norman "The Inhaler" Malecha, is from Belle Plaine, MN and was already the winner of the sauerkraut eating contest during that city's German Days celebration. He inhaled the two pounds of kraut with a time of 2:19. Kudos to you with the iron gut. If you're a fan of Minnesota and the photos capturing the essence of the state, check back here beginning July 7, 2009 as MinnPics celebrates its first birthday with a week-long photographic journey chronicling the days before MinnPics.